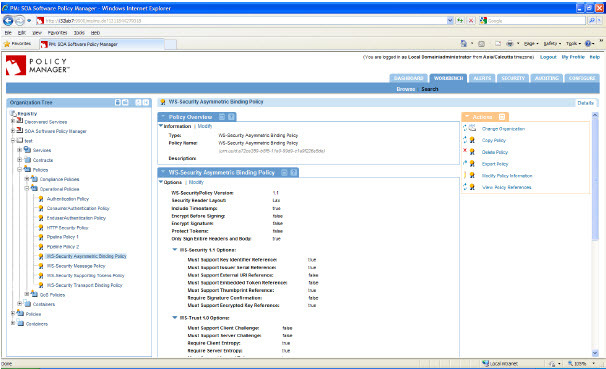 Learn about the WS-Security Asymmetric Binding Policy. The WS-Security Asymmetric Binding policy provides support for the Asymmetric Binding Assertion. Asymmetric binding is suited for when both parties (client and service) possess security tokens. 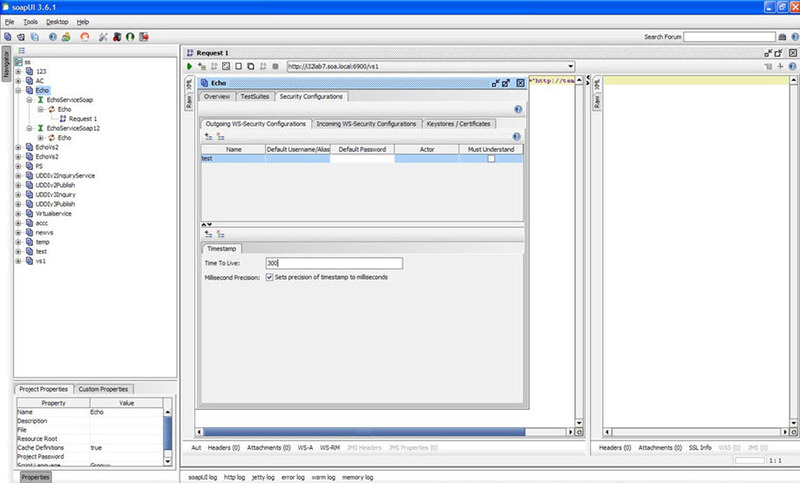 For example, if both parties possess X.509 certificates, an asymmetric binding is used where the initiator or client uses its private key to sign and the recipient’s public key to encrypt. 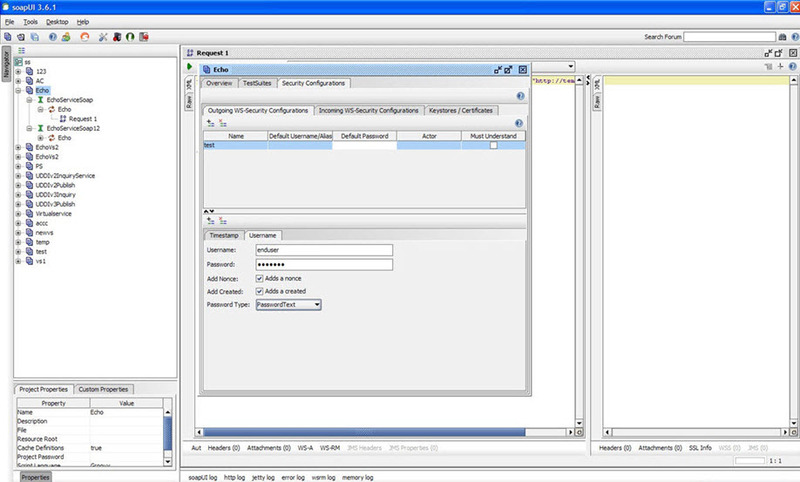 The Recipient or the Web service uses its private key to decrypt, and the initiator's public key to verify the signature. Asymmetric binding allows defining tokens used by the initiator and the recipient using Initiator Token and Recipient Token properties. These are properties specific to asymmetric binding. 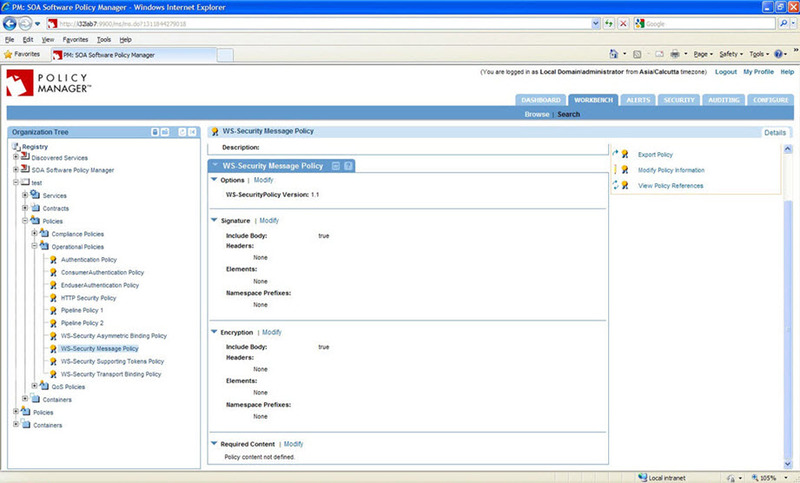 This section provides an illustration of how to use clusterable caching with the WS-Security Asymmetric Binding Policy. 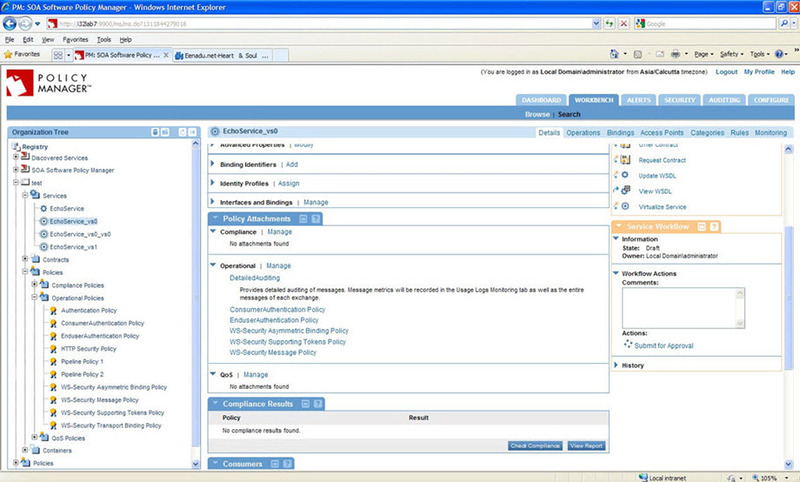 Launch the Policy Manager Management Console and create a physical service. 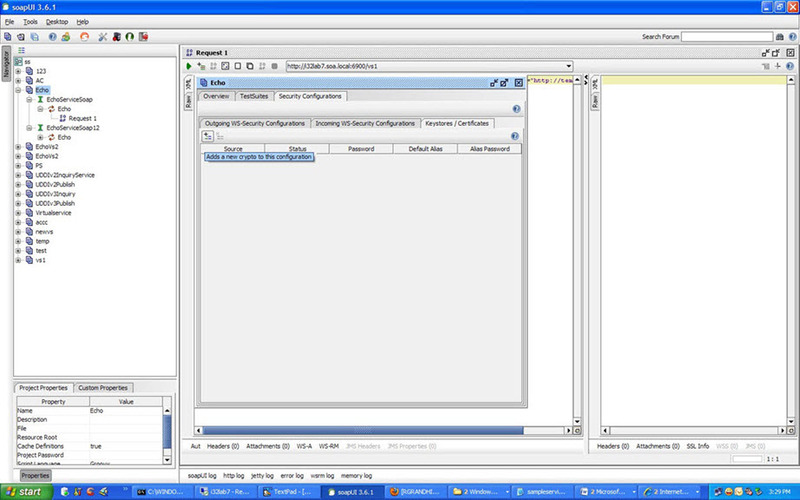 Virtualize this physical service and host it on Cluster with at least two Network Director (ND) nodes. 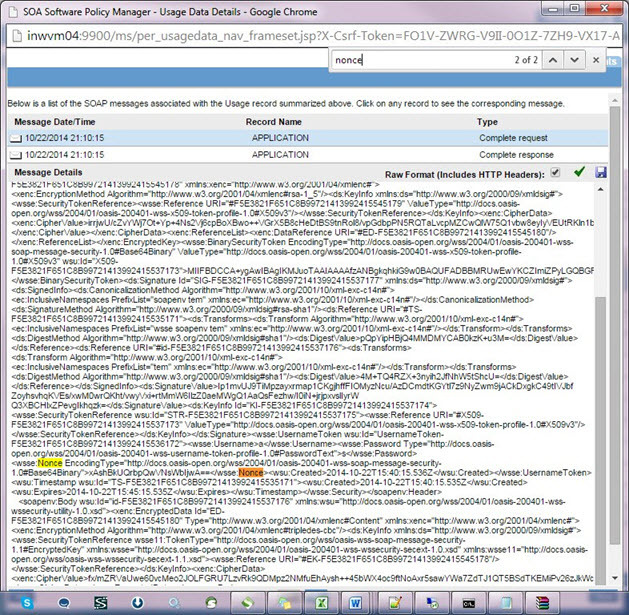 Perform the required steps for setting up a clusterable cache and using in the com.soa.policy.handle.wssp.noncecache and com.soa.grid property as illustrated in Using a Clusterable Cache. 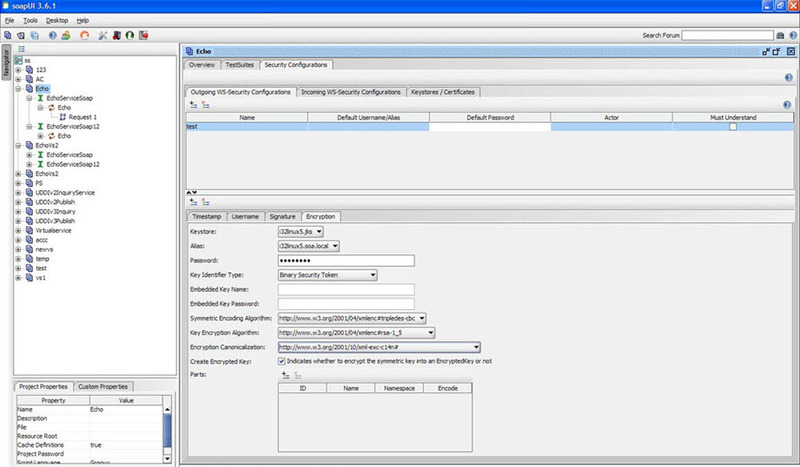 Assign Detailed Auditing, Consumer Authentication, Enduser Authentication, WS-Security Asymmetric Binding, WS-Security Supporting Tokens and WS-Security Message Policies to virtual service. For specific policy configurations, see below. 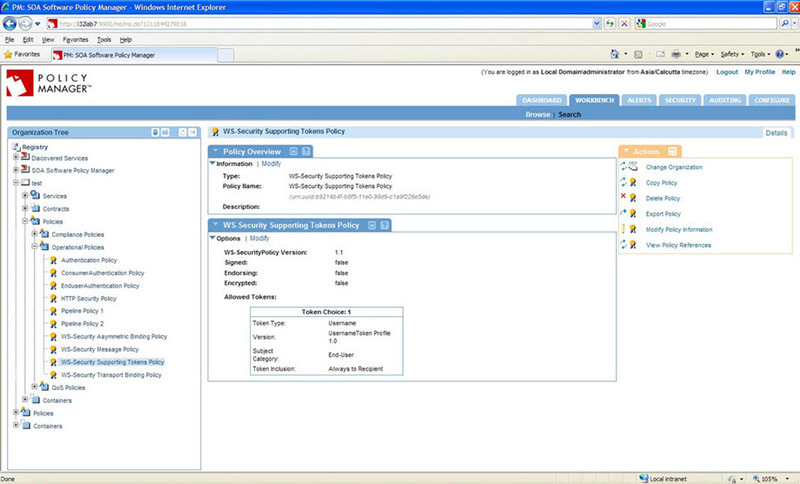 Assign Detailed Auditing, Consumer Authentication, Enduser Authentication, WS-Security Asymmetric Binding, WS-Security Supporting Token and WS-Security Message Policies to the virtual service. 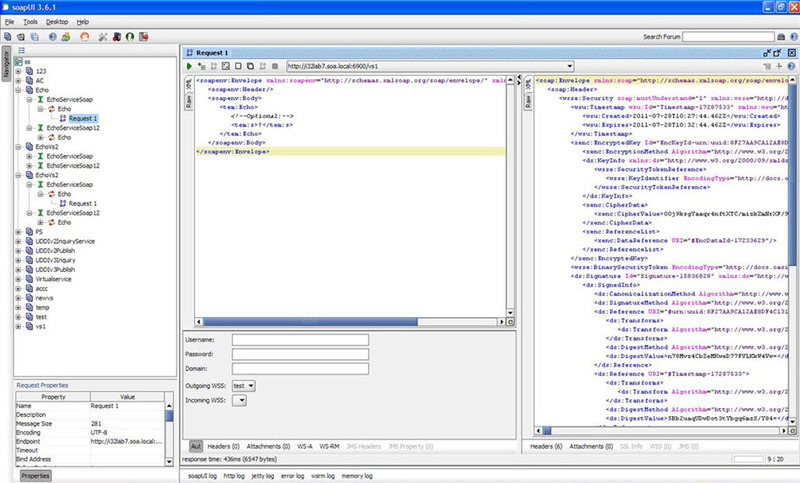 Create a project in a client, such as SoapUI, using the virtual service WSDL URL. Double-click a project (for example, Echo). 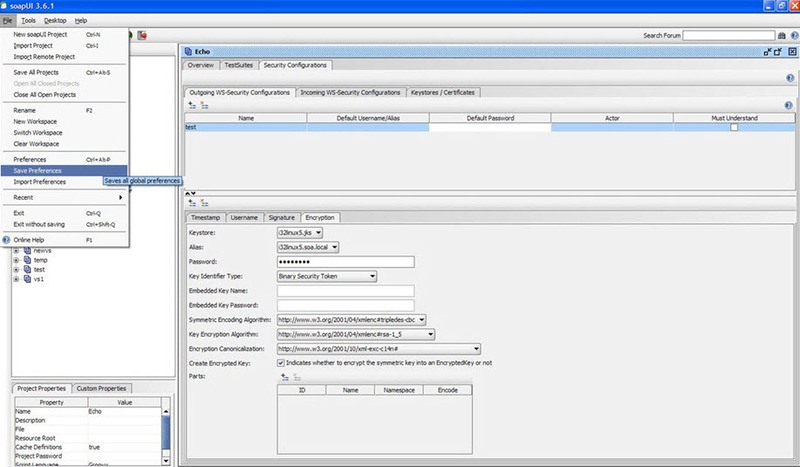 Navigate to Security Configurations > Keystores/Certificates. Click Adds a new crypto to this configuration. 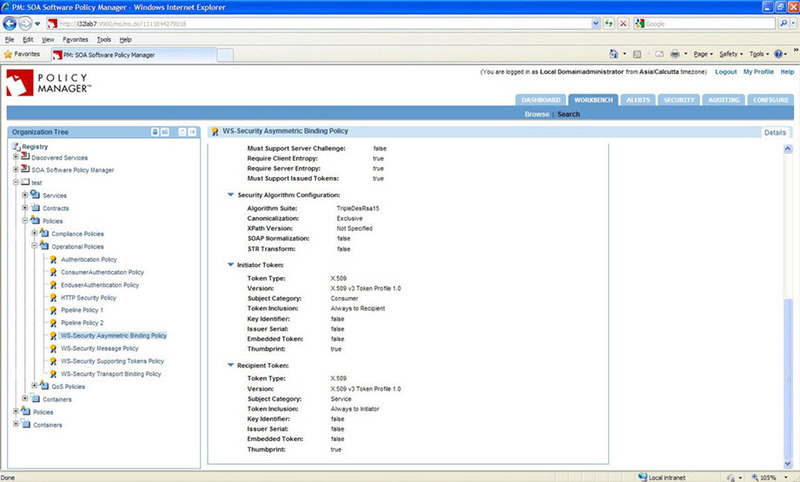 Click Adds a new Outgoing WSS Configuration. Click Adds a new WSS Entry. Select Time stamp and click OK. Enter time to live as 300 milliseconds. 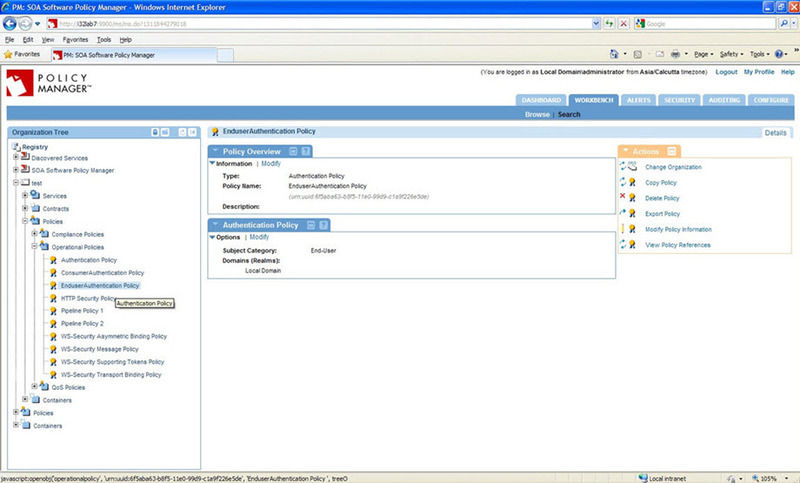 Select WSS Entry type as Username and click OK.
Configure Username as shown below. Click on Adds a new WSS Entry. Select WSS type as Signature and click OK.
Configure signature as shown below. 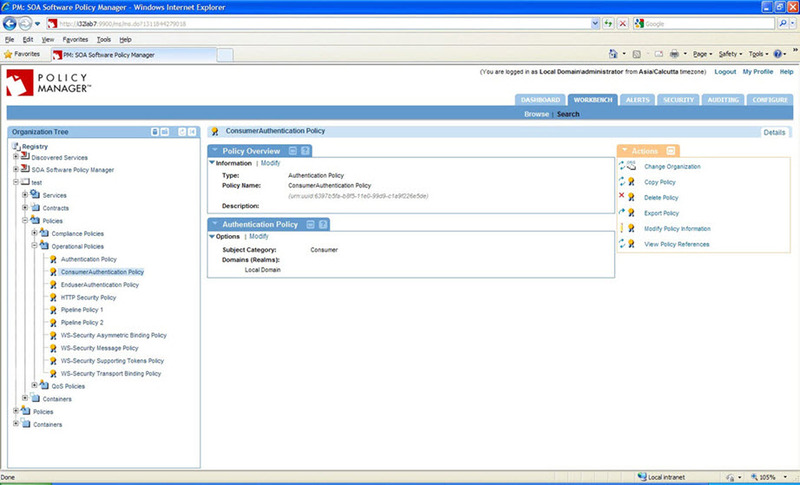 Select WSS type as Encryption and click OK.
Configure Encryption as shown below. 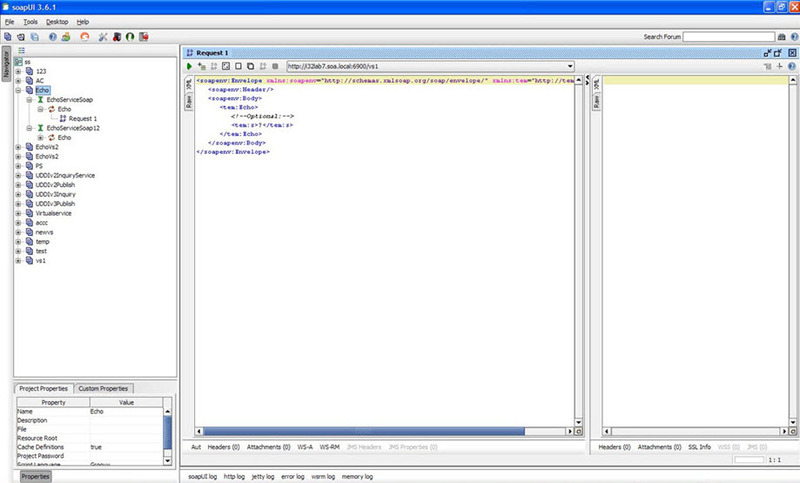 Select test in Outgoing WSS and send a request to the virtual service. The request is processed successfully. You can see the recorded message tab, as shown below. Verify that the wsse:Nonce header passed through the request. Similarly, view any continuous requests and make sure that the tokens are unique for various Network Director nodes.